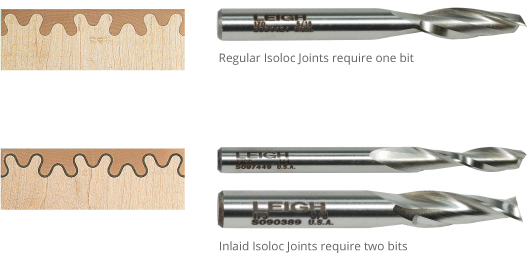 The revolutionary Isoloc joint represents the first entirely practical alternative to the traditional half-blind dovetail. 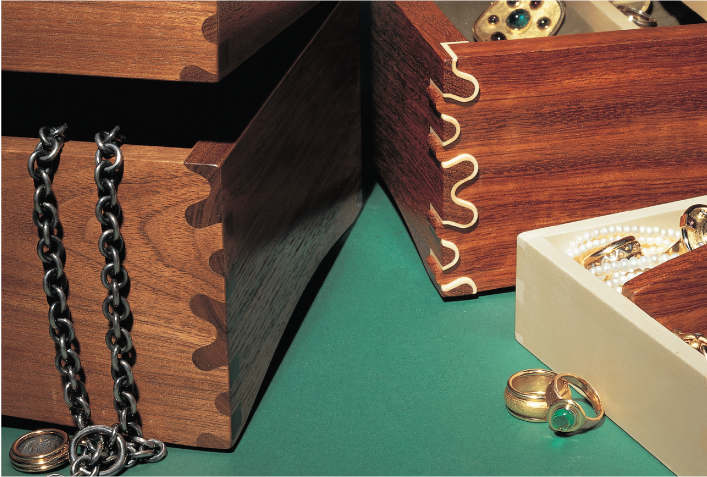 Read on to find out how easy it is to rout these stunning joints. 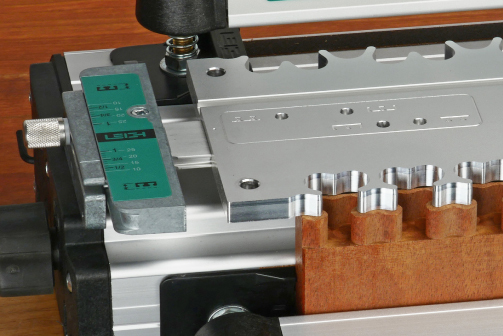 Remove the guide finger assembly and slide the Isoloc Template onto your jig in seconds. 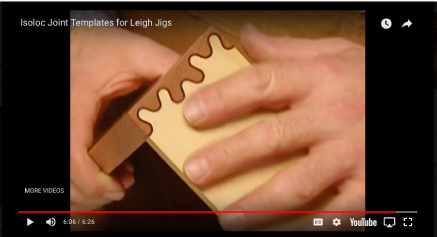 It takes less than a minute to replace the dovetail finger assembly on your Leigh Dovetail Jig with one of three Isoloc templates, and you’re ready to produce some very creative joinery. In fact, Isoloc joints are as easy to rout as finger/box joints and even easier than dovetails. Each template has two joint patterns. 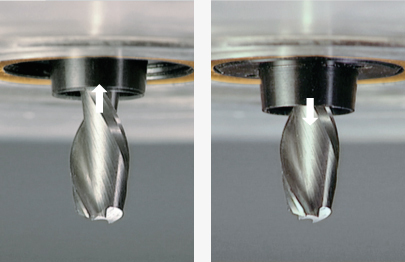 A single 5/16” or 8mm straight bit, preferably an upcut spiral, does all the routing. Template scale has inch and metric measurement. 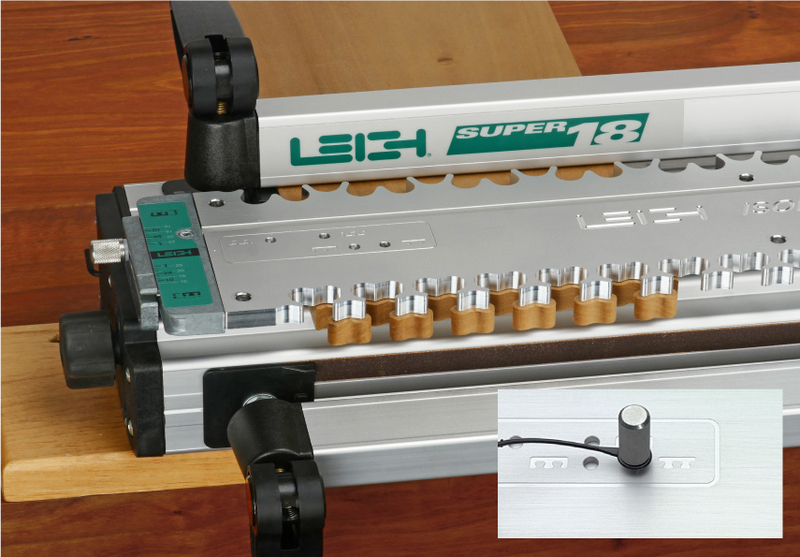 To set up for pins and sockets, the template is shifted left or right (see arrow), and the control pin at the right end of the template secures the template in place (see inset image). The template is in the pin mode in the image above. 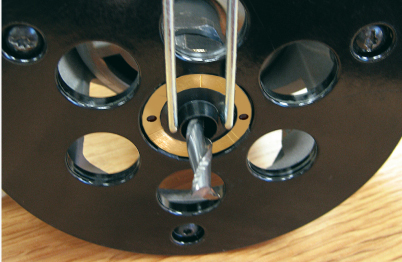 The control pin secures the template in place (see inset image). The template shown here is in the “pin” mode. The control pin secures the template in place (see inset image). The template shown here is in the “socket” mode. 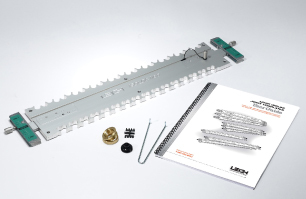 Perfectly fitting joints are easy using, the Variable Template Guidebush System (VGS) patented “fit” technology, included with each template. 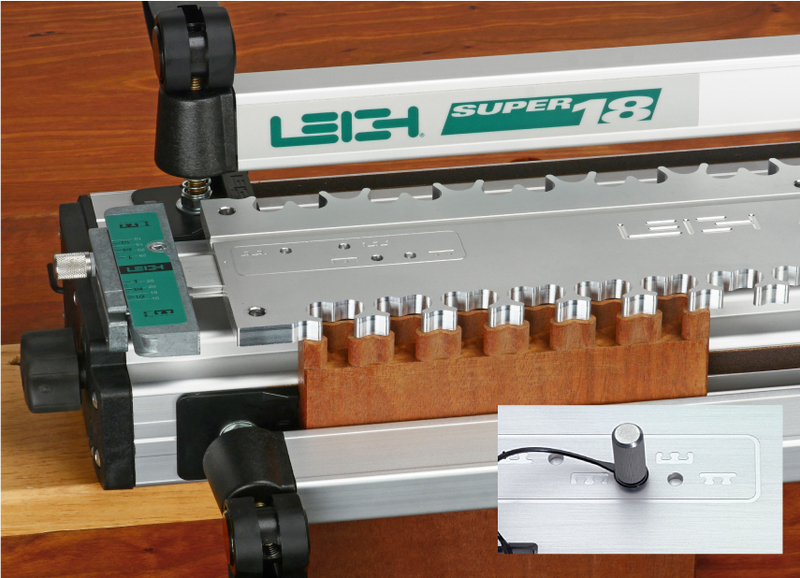 When attached to your router base, Leigh’s unique VGS guarantees easy and precise joint fit with its three tapered guide bushings*, one for each comb size. 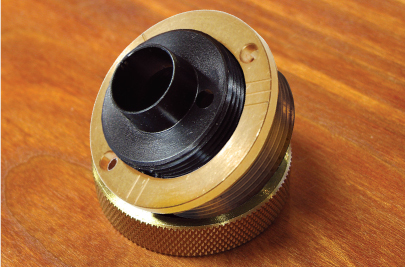 This adjustable 3-piece guide bushing mounts to your router base. 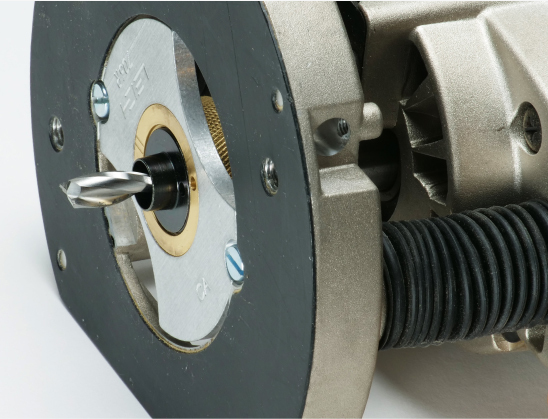 Rotating the tapered barrel of the VGS, up or down, increases or decreases its active diameter. Rotating the barrel of an installed VGS 1/8 of a turn adjusts joint fit by a incredible 1/1000 of an inch! Pin wrench included. Rotating the tapered barrel of the VGS up or down changes its active diameter.